Infrared Photography has had a life changing effect on my photography. It has caused my creative juices to be re-charged! I cannot get enough of it and to that end I find that I take hundreds of Infrared images to each single color image! 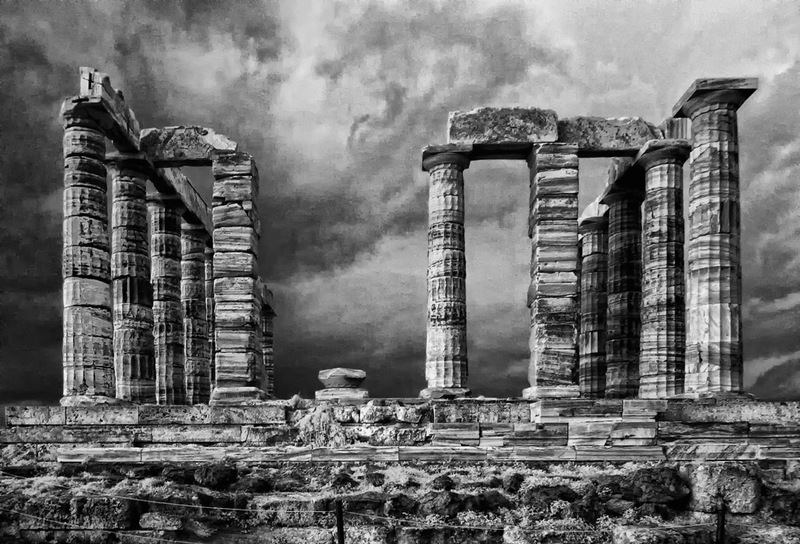 I find Infrared Photography to be emotionally charged in a way that takes my breath away! I hope that you agree! On a recent trip to Greece I visited the Temple Of Poseidon where the sky and storms work to my advantage to produce this moody image! An image from Brookgreen Gardens. Sometimes the unprocessed image straight out of the camera can be be very stunning and full of emotional impact! 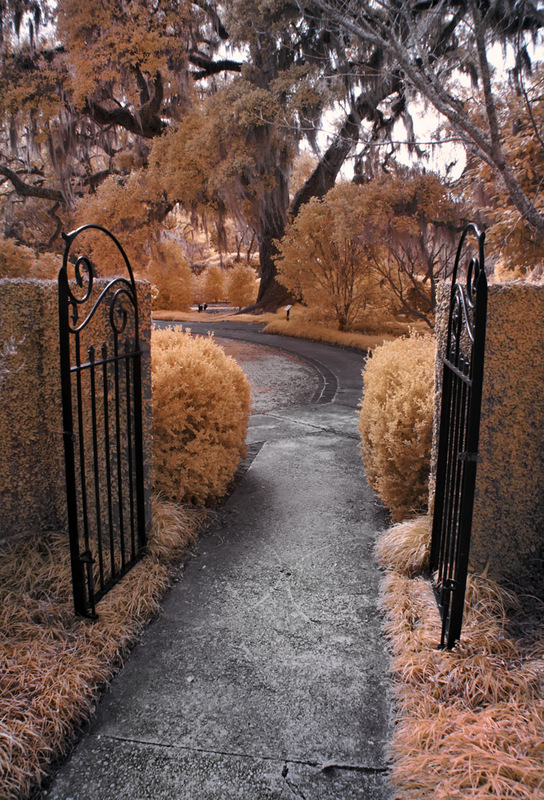 A garden gate in Brookgreen Gardens, Faux Color Processed! Shrimp Boats in Georgetown, SC, Faux Color Infrared. I like the Yellows and Pinks in this one! 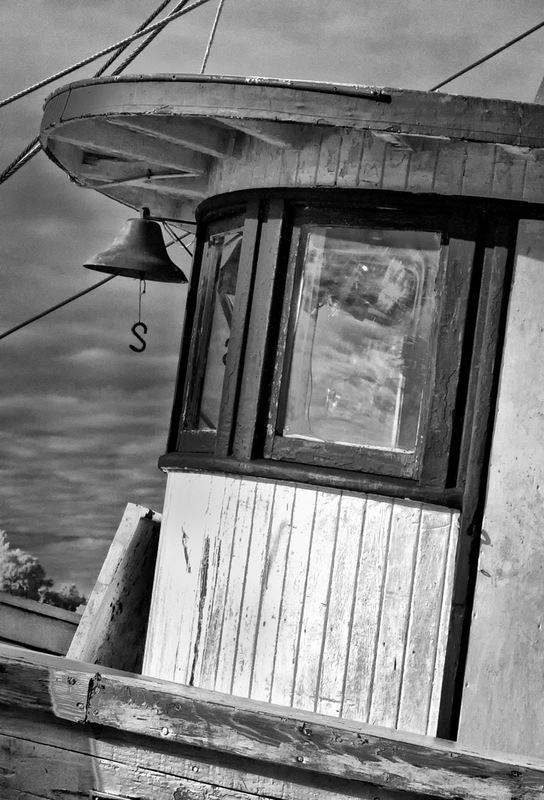 This B&W image of the wheel house and bell of a shrimper is one of my favorite Infrared images of all time! 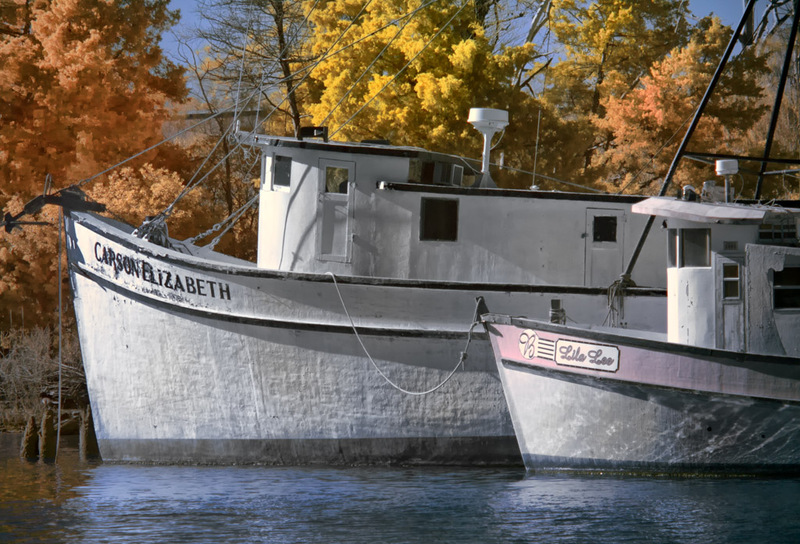 I am very passionate about my Infrared Photography and tend to take 100 Infrared images to each color image! 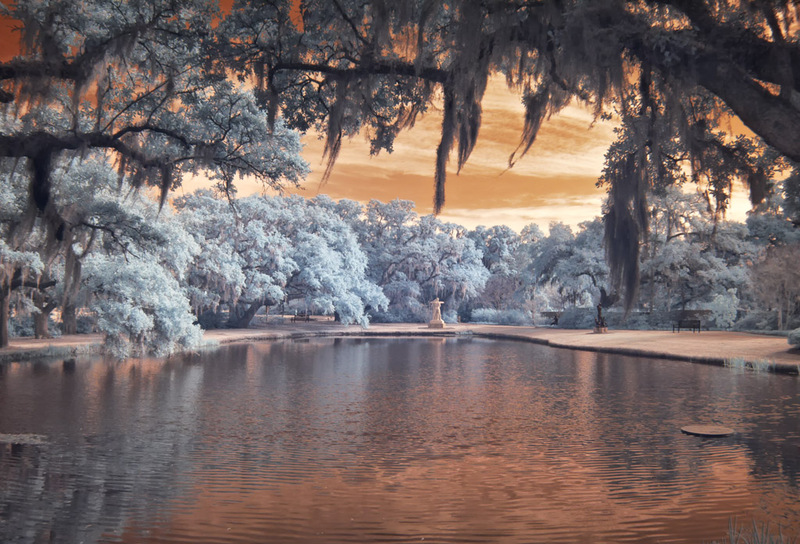 I have several WEB sites dedicated to Infrared Photography but my best one is listed below!